Contractor Quotes: Let's Make Your Project a SuccessContractorsFloorWhen Do You Need to Call the Local Hardwood Floor Water Damage Repair Contractors Near You? When Do You Need to Call the Local Hardwood Floor Water Damage Repair Contractors Near You? A lot of homeowners tend to experience water damage each year due to several different circumstances. And if you have installed a hardwood floor in your home, then you are probably aware that this kind of flooring may not be capable of handling any kind of water problems too well. When it comes to repairing water damages on hardwood floors, you will have several options. For severe problems however, getting in touch with the experts should be the first step. If the water has just managed to stain the hardwood, you can possibly remove the stain without so much work and without the need to call the local hardwood floor water damage repair contractors near you. Thus, the best way to remove stains is to sand down the affected area and then make use of oxalic acid crystals in order for the water stain to be removed. The stain can then be reapplied and coated with polyurethane sealer. However, this process might require so much work than that. If the hardwood boards have been warped with water, then the boards that will be warped from the water have to be totally replaced. After which, the entire area should be sanded down and refinished in order for it to complement with the rest. If the hardwood boards are warping, then the boards must be taken off from the flooring. If they are bent in an upward direction, then there is a good chance that they may no longer be attached to the floor. A saw can then be used to cut into the flooring of the affected areas. The pry bar can then be used to pull the boards upward towards the boards that have been damaged. The boards will then be pulled from the floor. If you do not have any knowledge on lacing the boards back to the middle of the flooring, then it can be taken up all the way into a wall. As soon as the damaged boards have been cleared, new hardwood boards have to be installed in place. But in order for the boards to match, similar varieties and grades should be purchased, something that will match with the existing boards. The new boards should then be left to acclimate with the new environment before the installation. This can help to ensure that it fits well together with that of the existing hardwood floors. The new boards will then be fitted inside an adjacent board by means of sliding the groove into the existing hardwood flooring. The new board will then be fitted to the adjacent hardwood by sliding its groove into the tongue of the other board. Some staples have to be fitted diagonally into the tongue of the board and the boards will then be installed continuously until such time that the entire area is filled. As soon as the wooden boards are in place, the entire floor has to be sanded with a sander. The layer of the finished or stained area must be taken off and you can then get down to where you will be working with the raw wooden boards again. The next thing to do is to stain the floor. Staining the entire flooring area should be done consistently all throughout. The stain will then be left to dry thoroughly before you proceed into the next step. As soon as you are done staining the floor, the next thing to do is to apply two coats of polyurethane finish into it. The first coat must then be applied and be left to dry. A second coat will then be applied and be left to dry before using it into the flooring. If there is any water damage on your hardwood floor, it is recommended that you call the experts immediately most especially if the damage is severe. In certain cases, you can probably address the issue on your own, such as removing the stains as explained above. But you should know that there are lots of risks involved if you try to repair the damage yourself. There are lots of repair professionals who can handle all kinds of problems in your hardwood floors. In fact, some of them operate 24 hours a day, seven days a week. They know that time is crucial when it comes to restoration and that any delay could lead to an increase of losses, which can add to the expense. For instance, if there is flooding as a result of a pipe that burst, then you must shut the water supply off and call the water damage experts immediately. If there is flooding inside your home or perhaps you need help with sewage backup, roof leakage and other calamities, then you must not wait even for a minute to call the professionals or you could be faced with severe damages. The hardwood floor damage repair specialists can also help with your insurance claims. These professionals can do so much more than just restoring and cleaning your home or office building. They can also help in preparing the paperwork needed for the insurance claims and can also help you with the claim process. Although the process of insurance claim is not that difficult, there are some insurance companies who will do all things possible just to lower the amount required. But the professionals can work things out for you and will save you lots of time, energy and stress. They will also ensure that the insurance will be able to cover all of the expenses involved in the restoration process. Restoration specialists are equipped with the necessary equipment to carry out their job well efficiently. They will be using high-grade equipment and high tech tools including portable water extraction units, pumps, blowers, moisture gauges, dehumidifiers and fans. All of these tools and equipment can greatly help in removing water in your property and restoring your office and home back in only a few hours of work. The hardwood floor water damage repair companies have the technical know-how in resolving all these issues. This is one of the reasons why you should let these professionals deal with your water damage problems. They have the technical knowledge and skills required for certain cases. Some cases can take several hours to be fixed. They will also offer you advice on any potential problems that could lead to further damages. They will also give recommendation on what would be the best way to ensure that the problem that has occurred will not happen again. Remember that the sooner that you call them, the lesser will your losses be. Professional water damage companies can also help to guarantee that their work will be professional at all times and will assure you that the estimates will be approved by the insurance company. This could mean that you will not have to spend so much money if you hire the experts. Professional experts are all over the place so do not attempt to restore the damage on your own. 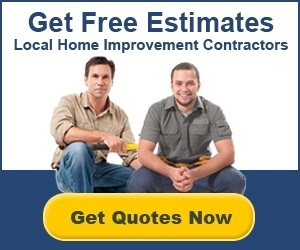 When you have a situation where you are dealing with hardwood floors that have been damaged by water, you should know that you can easily get free estimates and quotes simply by filling out the form at the top of this page. When you do so, we’ll make sure to connect you with the most relevant contractors in your area.